In a perfect world, the gym will always be a stone’s throw away, gym fees would be affordable and we will always have time to have frequent workouts there. However, we do not live in a perfect world. Sometimes, our schedule gets too hectic for us to travel to the gym. Does that mean we have to give up on our fitness and live a sedentary life? Nope! That is the purpose of this article. With these exercises which require minimum tools and space, you could burn calories and tone muscle in minimal time right at home! The good ol’ push ups are great for building your chest, shoulders and arms. Just get into position, feet close together, hands slightly wider than your shoulders and in front of your chest (not your face). Make sure to go all the way down and all the way up. Perform 3 sets of 20 reps with 2 minutes rest in between. If you want something more challenging, put your feet on higher platform, such as a sturdy furniture. If it’s too challenging to complete 20 reps, do it on your knees. Planks are not just great for a six pack, but also for overall torso development. Get into the position as shown in the image above. Tighten your torso. Hold for as long as you can, rest for a minute and repeat for 3 sets. Build strong legs with this exercise. Stand straight and tighten your torso. Place a foot a metre ahead of the other, lower your hips until the knee of the rear leg almost touches the ground. Drive your body back to the starting position with both legs. Switch legs and alternate them during the set. Once you’re able to perform this exercise with great stability and ease, hug a heavy object to add resistance. Perform 3 sets of 15 reps for each leg. Another great exercise for abs! Lie on your back and place your hands at your side. 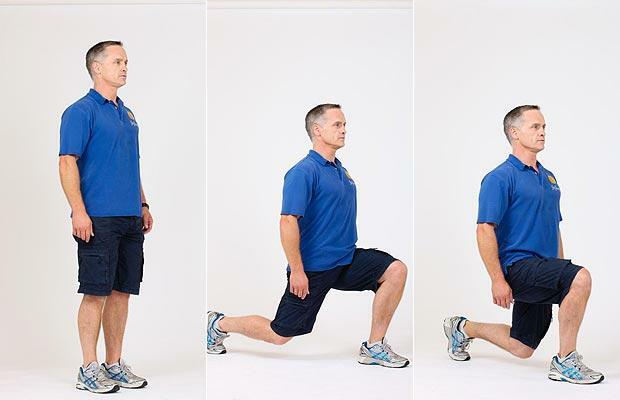 Ensure your legs are straight and keep them together at all times during the exercise. Lift your legs up until they are vertical. Lower them slowly and in control. Perform 3 sets of 20 reps.
Want to perform a cardio workout at home but don’t want to spend hundreds on a cardio equipment? Get a skipping rope instead. It only costs about $15 and has the same benefits! Instead of continuously skipping for half an hour, trying performing sprint sets. Skip lightly for 2 minutes as a warm up. Then, skip as fast as you could for 30 seconds. Rest for a minute and perform another 30 second set. Perform 5 sets in total. Interval sprinting has shown to burn more calories in less time. We hope this article has helped you get in shape with minimal time and equipment. Do visit our blog for more articles and check out premium grade, 100% organic superfoods that will help you lose weight, gain energy and look younger! Follow us on Instagram for more tips!